Broccoli is probably one of the more popular cruciferous vegetables being touted for its health benefits… but there are numerous other ones. 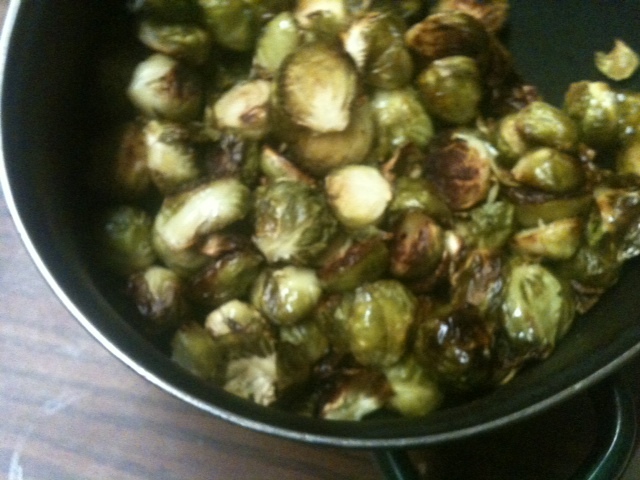 Brussels sprouts is a favorite around here…. and our most favorite way of preparing it is to roast it. My mother used to harvest brussels sprouts from our garden after the first frost and prepare them by boiling and serving with butter. I always liked this, but roasting takes it to a new level. Clean brussels sprouts – cut ends off, halve, and rinse in water, removing any leaves that are damaged or wilted. Drain. 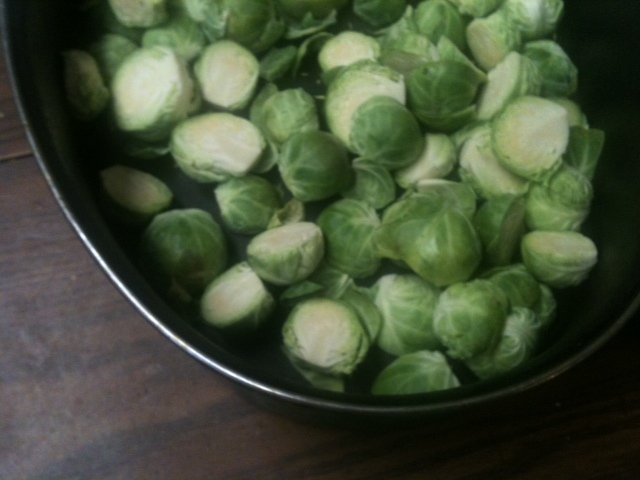 Combine brussels sprouts and olive oil in a 13 x 9 inch cake pan. Add salt and lightly mix. Roast brussels sprouts in oven 30-40 minutes or until lightly browned. Toss a few times to mix during roasting time. Season with pepper and additional salt if desired. This entry was posted in vegetable and tagged brussels sprouts, roasted, vegetables. Bookmark the permalink. I’m preparing brussels sprouts for Thanksgiving with raisins and pine nuts. Have a wonderful Thanksgiving. Thanks for the note… sounds like the pine nuts and raisins will be a good combination. My daughter is trying a recipe with shredded brussels sprouts and apples… that should be good too!